Home / FFI / FFI | Who are the Cowboys? FFI | Who are the Cowboys? 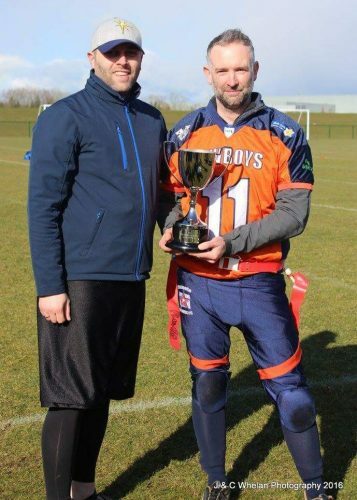 The Craigavon Cowboys were founded in 1986 initially as a tackle team only. In the same year, the first formal tackle football league in Ireland was created and the Shamrock Bowl introduced as Irelands equivalent of the Superbowl. The Cowboys would win the first ever Shamrock Bowl, before going on to win it again in 1990 and 1992. The league however struggled in the late 90s and the Cowboys fell away until 2005 when the team was reformed. The team reformed as an 8 a side development team, winning the DV8 title in 2009 thus securing promotion back to the top level, 11 a side league. In 2014, the Cowboys evolved from a team to a club with the addition of junior and flag teams. The junior team won the first IAFA Junior Championship in 2014 before winning it again in 2015. 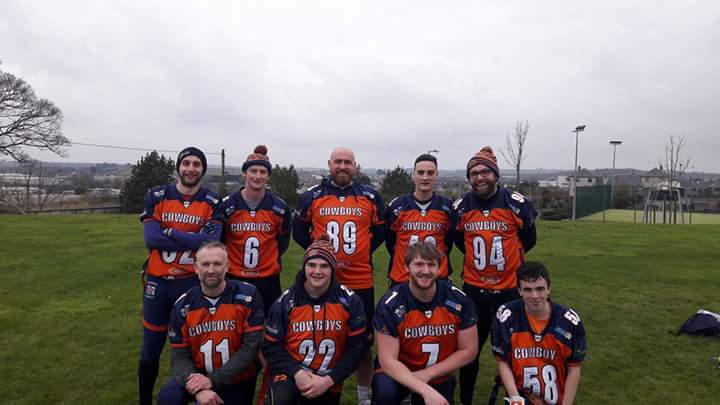 In April 2017, six members of the Cowboys junior team represented Ireland when they took on the AFW USA Elite team in Dublin. Our flag team has enjoyed great success too. In 2016, the team won Emerald Bowl II, after topping the North division and beating the Mullingar Minotaurs 36-0 in the final. After a great season, Peter Loughran was then selected to play for Ireland in the international friendlies played at Gormanston. The team travelled to Copenhagen, Denmark in June 2016 to represent Ireland at the Champions Bowl where the quality on show was phenomenal. Whilst playing well (and partying harder), the ‘Boys ultimately finished bottom but learned a lot from our first taste of international competition. At the start of 2017, we made the semi-finals of Emerald Bowl III which was hosted in Craigavon. We would unfortunately lose out to the eventual champions Dublin Vipers 20-18 but it was still deemed a successful season. We recently returned from this year’s edition of the Champions Bowl in Vienna, Austria. We travelled with a small squad but managed to not finish bottom again, after beating the Madrid Capitals. We have just finished the regular season of Emerald Bowl IV, where we finished top of the league with 7 wins and 1 tie. This season, we maintained most of our squad with some new additions who have made terrific additions to the team. We view our flag team as a key component of our club. This is the only version of the sport that women can currently play in Ireland. 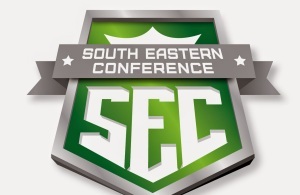 It is also a great way to introduce new players to football before bring in the contact element of tackle football. It is great for our tackle players to work on their technical ability as well as their reactions and speed. 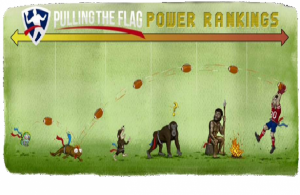 Maintaining 3 teams has been tough, especially with a limited volunteer base, but it is now bearing fruit with both our senior tackle and flag team about to enter the playoffs of their respective leagues.